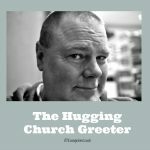 Memo to Church Greeter: Don’t hug a guest! It was a beautiful Sunday morning. The sun was bright, not a cloud in the sky, and our family makes a Sunday visit to a local church for the second time. 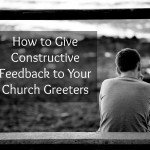 But a church greeter changed my attitude with an attempt at friendliness that went wrong. 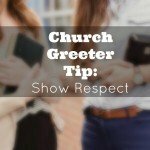 [Read more…] about Memo to Church Greeter: Don’t hug a guest! 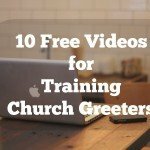 Mother’s Day can be really awkward at church. Being sensitive not only to to your members, but also your first time visitors, you’ll want to remove as many of those awkward possibilities on Mothers Day. 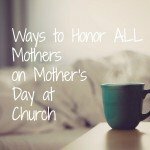 Out of a noble desire, church leaders desire to honor mothers and celebrate motherhood with announcements, particular prayers focused on mothers day, and even a sermon related to the qualities of an awesome mom. 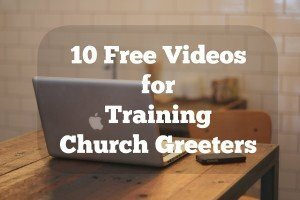 How will you give a church welcome speech that would honor mothers? 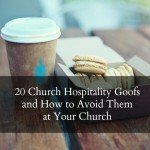 You know that churches make all sorts of hospitality mistakes. 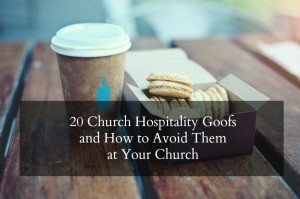 You’ve probably experienced a few church hospitality errors first hand. Over the last few months, I’ve compiled this list of 20 complaints shared on Twitter.